Description / About: #3923-12" Footed DC Bowl / Compote: 7 1/4" H. - 11 3/4" W.
Item Condition: Undamaged Condition without chips, cracks, or mold damage. This lovely footed bowl / compote is in perfect shape. It is well formed and has a beautiful deep blue color. The opalesence is fabulous and the crimping is nicely done. POSTAGE AND INSURANCE ON THIS PRETTY ITEM IS CALCULATED. 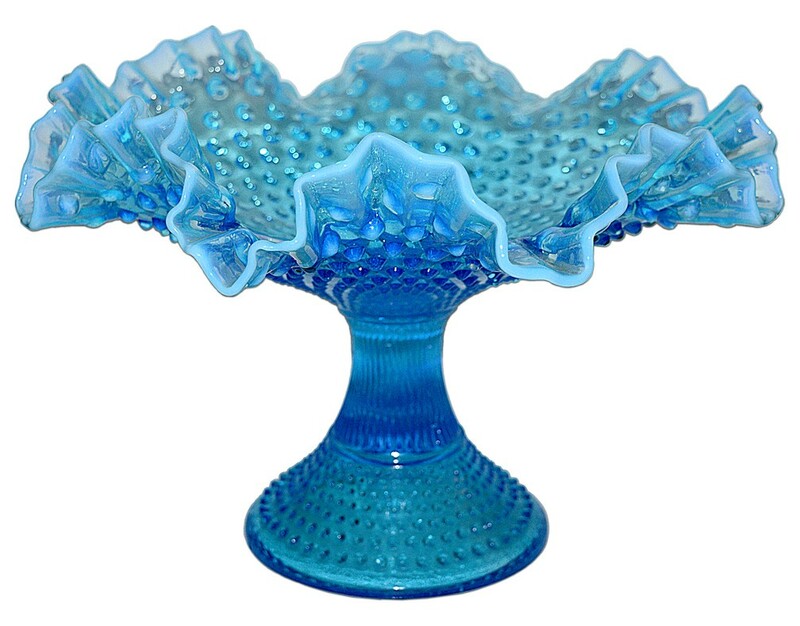 Blue Opalescent Hobnail - Fenton introduced the Hobnail pattern in Blue Opalescent in 1940. The original period of production continued through December of 1954. 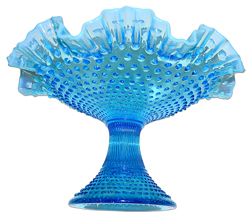 Blue Opalescent Hobnail was reintroduced to the Fenton line in July 1959 and was discontinued in December of 1964. 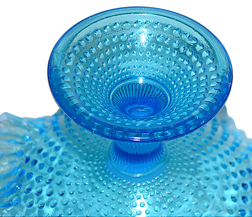 Hobnail in Blue Opalescent was revived once more in July 1978. 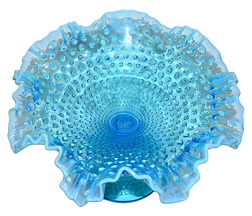 Hobnail in this beautiful blue color was discontinued from the line in the early 1980s. Fenton also produced pieces of the Blue Opalescent Hobnail pattern for Levay, and L.G. Wright in the early 1980s.